The poll identified that 21% of young people think it is ‘somewhat easy’ or ‘very easy’ to purchase cannabis, whilst 18% of young people think it is ‘somewhat easy’ or ‘very easy’ to purchase alcohol. However, this figure rises to 44.1% of young people thinking that cannabis is ‘somewhat easy’ or ‘very easy’ to purchase if they have already tried cannabis as they have more knowledge and experience of the challenges of purchasing that substance. Cannabis can be easier to obtain than alcohol because, as an illegal drug, there are no age restrictions on its purchasing and it is commonly distributed through peer networks. The rise of social media platforms, such as Snapchat and Instagram, has also facilitated easy access for young people. 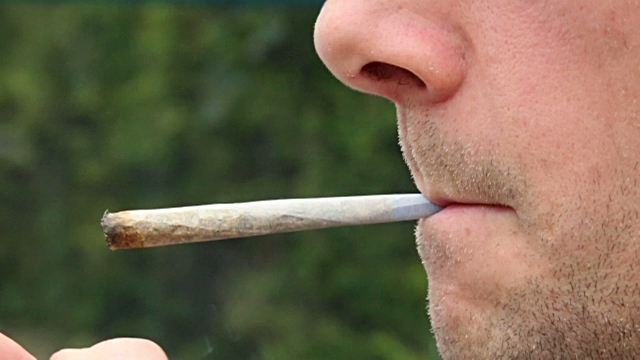 The findings indicated that cannabis can be purchased by younger children. The majority of young people (45%) who had tried cannabis had bought it aged 15 or under whereas a minority of young people (20.5%) who had tried alcohol had bought it aged 15 or under. "A 2018 study revealed that nearly all of the cannabis available to buy on the black market is of a high potency variety. This is concerning as evidence indicates that early use of high potency cannabis can have a detrimental effect on mental wellbeing," said the report. Volteface carried out The Children’s Inquiry to examine how effectively the UK’s cannabis policies are safeguarding young people from harm to their wellbeing and life chances. It found that statistics have shown that hospital presentations for cannabis-related mental health problems have increased for young people and, for some conditions, at a higher rate than adults. Volteface’s poll identified that one-third of 16 and 17-year-olds who had tried cannabis felt that using cannabis had made them feel worried or down. In contrast, Freedom of Information requests revealed that there has been a small decline in young people with cannabis-related mental health problems presenting at Child and Adolescent Mental Health Services (CAMHS). Although anecdotal reports suggest that young people are facing barriers to accessing these services, there is the possibility that they are presenting but that their condition is not being recorded. "This knowledge gap restricts the extent to which local agencies such as CAMHS can adequately support young people and plan preventative measures," the report added. Hospital presentations for cannabis-related mental health problems in England and Wales shows a sharp increase in presentations between 2012/13 and 2016/17. - A 54.1% increase in under-18s presenting at hospitals with the primary and secondary diagnosis of ‘mental health and behavioural disorders due to the use of cannabinoids’. - 112% increase in under-18s presenting at hospitals with the primary and secondary diagnosis of ‘mental and behavioural disorders due to use of cannabinoids - psychotic disorder’. - 73.3% increase in under-18s presenting at hospitals with the primary and secondary diagnosis of ‘mental and behavioural disorders due to use of cannabinoids - harmful use’. The report says that as cannabis use among young people has remained fairly stable in recent years, interviewees suggested that rising cannabis potency is likely to be driving need. Furthermore, among practitioners, there is a growing awareness of the harms of cannabis, and clinicians are now more likely to recognise and diagnose a cannabis-related mental health problem. The data can be judged to be of sufficient quality to make the case that, among young people, there is an emerging and pre-existing prevalence of cannabis-related mental health problems. However, the report outlines that if hospital presentations are being fueled by rising need, it might reasonably be expected that Child and Adolescent Mental Health Services (CAMHS) would be experiencing a similar rise in presentations. However, this is not the case. FOI requests reveal that CAMHS have, in fact, seen a 4.5% decline in presentations for ‘mental health and behavioural disorders due to the use of cannabinoids’ between 2012/13 and 2016/17. It suggests that the divergence between hospital presentations and those for CAMHS may be the result of young people presenting at CAMHS but being unable to access the service due to shrinking capacity as a result of austerity. "Where there is competition for spaces, interviewees commented that young people presenting with a cannabis-related mental health problem were unlikely to be prioritised," the report said. However, there are doubts over whether community-based CAMHS have experienced more budgetary cuts than acute hospitals, where a significant rise in presentations has been seen. Interviewees explained that the rise in hospital presentations could indicate that, at the point a young person presents at a hospital, their cannabis-related mental health problem is acute enough and can successfully compete for attention. Stigma can create further obstacles, with a literature review from the National Institute for Health and Care Excellence (NICE) finding that, in community health and social care services, there is “evidence of barriers related to stigma and negative attitudes towards people with a dual diagnosis". As cannabis is illegal, interviewees suggested that young people might be reluctant to tell their parents or a professional that they have developed a problematic relationship with it and, equally, parents may be reluctant to tell authorities. The report concludes: "Volteface’s findings paint a worrying picture of the effect of current cannabis policies on young people in the UK today. They are not being effectively safeguarded from the risk of potential harm to their wellbeing or life chances and multiple failings are compounding this risk." - Further investigation into the extent to which social media platforms are facilitating cannabis dealing among young people. - Dealing cannabis as a young person be considered a potential indicator of vulnerability, rather than criminality, and should be treated as a safeguarding concern, much like in instances of child sexual exploitation. - Drugs education should be delivered in schools. - Public health bodies should also consider taking steps to ensure that that public is informed of the harms associated with high potency cannabis. - Greater investment in youth services could improve young people’s life chances and provide earlier opportunities to stop them becoming involved in cannabis dealing. "The UK should look to emerging evidence from Canada and the US to see what impact a legal, regulated cannabis market could have on young people’s wellbeing," the report concludes. The Children’s Inquiry aims to be the start of a new and pragmatic conversation in the UK around cannabis and young people. The Children's Inquiry: How effectively are the UK’s cannabis policies safeguarding young people? "Further investigation into the extent to which social media platforms are facilitating cannabis dealing among young people."